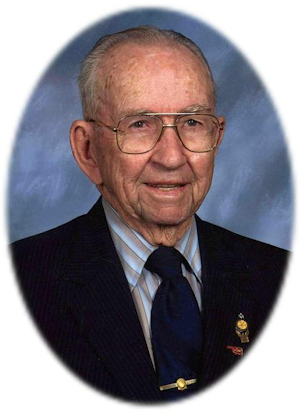 Obituary – Carmack, Kenneth L. « Perry High School Alumni Association, Inc.
Obituary – Carmack, Kenneth L.
Kenneth L. Carmack, 90, Perry, Oklahoma, was the son of Dolph and Marmbell Wilson Carmack. He was born on February 14, 1918 in Indianola, Oklahoma and died Sunday, April 13, 2008 in his home. On August 1, 1937, Kenneth married Jessie Mae Lau in Perry, Oklahoma. They were married in the Christian Church parsonage by Brother Veneable. Jessie preceded him in death on October 17, 2000. In 1942, Kenneth left Perry for military service. He served his country in the United States Army until February 14, 1946. Kenneth served as Staff Sergeant during World War II. Following his military service, Kenneth worked for Shell Pipeline for 34 years. While with Shell Oil he lived in various locations. He moved back to Perry in 1980. Kenneth was a member of the First Christian Church, the Perry Noon Lions Club, the Y.M.C.A., the Shell Retiree Club in Cushing, Oklahoma and had a perpetual membership in the Masonic Lodge. Funeral services will be 10:00 a.m. Wednesday, April 16, 2008 at the First Christian Church. Rev. Martin Foster will officiate. Interment will be in Grace Hill Cemetery. Services are under the direction of Brown-Dugger Funeral Home in Perry. Memorials may be made to the First Christian Church Youth Fund in care of Brown-Dugger Funeral Home, 1010 N. 7th Street, Perry, Oklahoma 73077. Kenneth is survived by one sister, Margaret Moore of Georgetown, Texas and numerous nieces and nephews. He was preceded in death by his wife, Jessie Carmack, his parents, Dolph and Marmbell Carmack, three brothers, Douglas Carmack, Ray T. Waren and B.E. Carmack and one sister, Eva Wells.